Intestinal Lymphangiectasia (IL) is a rare digestive disorder associated with lower level of protein in the blood due to loss of proteins such as serum albumin and globulin in the intestines. Along with loss of proteins, there is loss of lymphocytes and antibodies also from the gut/intestine. This happens because the lymph channels in the lining of the gut gets congested and they burst out, thus releasing all the contents of the lymph channel into the middle of the gut. The patient thus develops edema or swelling of the body. 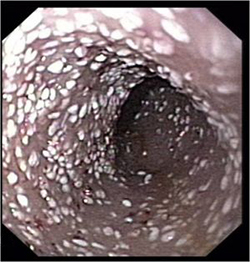 IL is considered to be a chronic form of protein losing enteropathy and is also known as lymphangiectasis. This rare digestive disorder is mostly diagnosed before three years of age but in few cases it may be diagnosed later in life. In some cases, the children are born with intestinal wall lymph vessels that are not formed properly and this causes blockage of the flow of lymph fluid. Intestinal Lymphangiectasia can be characterized by abnormally enlarged or dilated lymph vessels supplying the lining of the small intestine.So, the most common symptom is swelling of the lower limbs due to fluid retention. The swelling can also be seen on the face and abdomen along with signs of abdominal discomfort. Nausea, vomiting and diarrhea or fatty stools can be present. Some patients may have low oncotic pressure. Fatigue and weight loss are also common with patients having IL. At times the problem is by birth, in some cases it starts in childhood. Due to loss of protein and fats, IL leads to poor growth of the patient. The child is prone to infections as there is loss of white blood cells and antibiodies. Diagnosis of IL is done through biopsy which is removing tissue samples from several areas and examining them for any abnormal dilation. Endoscopy and Ultrasounds may be performed in some cases. Anti-trypsin level test is done to measure protein in the stool. Lower level of cholesterol and calcium supports the diagnoses. Doctors might use the method called contrast lymphangiography in which they inject a dye that can be seen on x-rays into lymph vessels in the foot. The dye travels to the abdomen and chest and can show the abnormal intestinal lymph vessels. Blood tests can show levels of proteins, cholesterol , white blood cells in the blood. 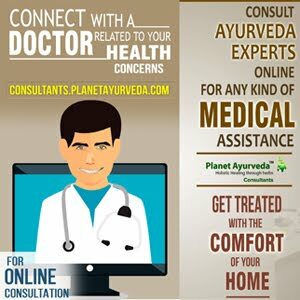 Planet Ayurveda provides an Ayurvedic treatment for Intestinal Lymphangiectasia. They offer best quality medicines that are prepared using natural herbs. All the medicines are free from chemicals and hence are free from side effects. As the name suggests, these vegetarian capsules improves body metabolism and treat all causes of indigestion. These capsules works towards balancing the three body energies or doshas (Vatta, Pitta and Kapha). Dose – 1 bottle - 1 cap twice daily after meal with plain water. This medicines aims at maintaining healthy body temperature along with supporting health of the abdominal organs. This is safe medicine to be used for children. The recommended dosage is 2 tablets twice a day with lukewarm water. Dose – 1 bottle - 2 tab twice daily after meal with plain water. This combination of herbs of Boswellia and Curcumin gives excellent results and helps in supporting overall health and wellbeing of the patient. This combination helps to maintain healthy joints too. They together form the most effective anti-inflammatory herb. Dose – 2 bottles - 2 cap twice daily after meal with plain water. These capsules work towards maintaining water balance in the body thus work towards maintaining healthy kidney, liver and heart. They also help with healing abdominal organs and are considered to be a good source of iron. It helps to prevent the breakdown of the blood clotting protein fibrin. Punarnava also increases the digestive fire thus absorbs fluids from the digestive system. There capsules are made with Gotukola herbal extract which is known to treat everything from anxiety to cardiovascular conditions. This plant has triterpenoid compounds that aid in speeding up the healing process. These capsules are known to increase cognitive abilities, detoxify the body and regulate blood pressure. It has antioxidant and anti-inflammatory properties which help with relieving severe stomach pain, thus improving the health of gut /intestines and colon. 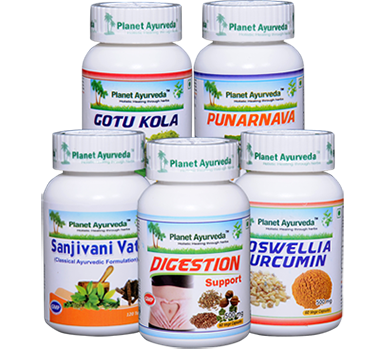 All the products of Planet Ayurveda are free from any chemicals, preservatives, starch, additives, colors, yeast, binders or fillers. They are 100% natural. Ayurvedic medicines are safe to use and have no known significant side effects.